It does not matter who you are or what you do, fact remains that both your body and mind can only take so much before eventually showing signs of breaking down. Thus if you feel tired and worn out, whether it is due to personal or professional reasons, you need to take a break. However, you must realize that enjoying a night out with friends will not do the trick though; you need to get away from the individuals and the environment which causes you so much stress. As such, you should seriously consider making use of Vaal River houseboat charters. As the name implies, Vaal River houseboat charters involves the hiring of a houseboat which cruises up and down the Vaal River for a few days. The main purpose of Vaal River houseboat charters is to bring total relaxation to individuals like yourself by offering you the opportunity to forget about all your worries for a certain period of time. 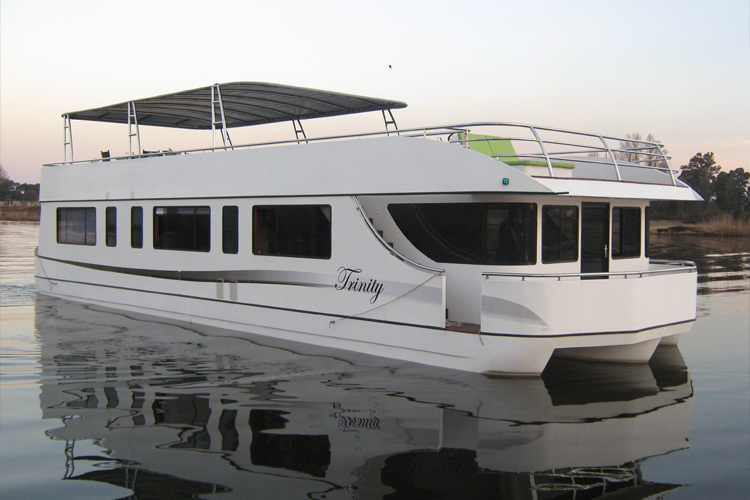 This is achieved through two aspects, namely the effects of the scenic beauty of the Vaal River and surrounding areas on your soul and the top-class facilities offered by Vaal River houseboat charters. Psychologists will tell you that your brain is an extremely powerful part of your body. This being the case, if it is stimulated in a positive way, your entire body will suddenly feel refreshed and rejuvenated. Vaal River houseboat charters offered by the Liquid Living have the ability to do exactly that. Taking in the beautiful scenery that lies all along the banks of the Vaal River will instantly make you more positive about life. The freedom which the fish in the water and the birds in the sky that you come across experience during Vaal River houseboat charters will also make you realize that there is more to life than simply pursuing worldly treasures such as money. The facilities offered by the Liquid Living during Vaal River houseboat charters are absolutely stunning. It has everything that you could possibly need during a breakaway, including a skipper and on-board chef. 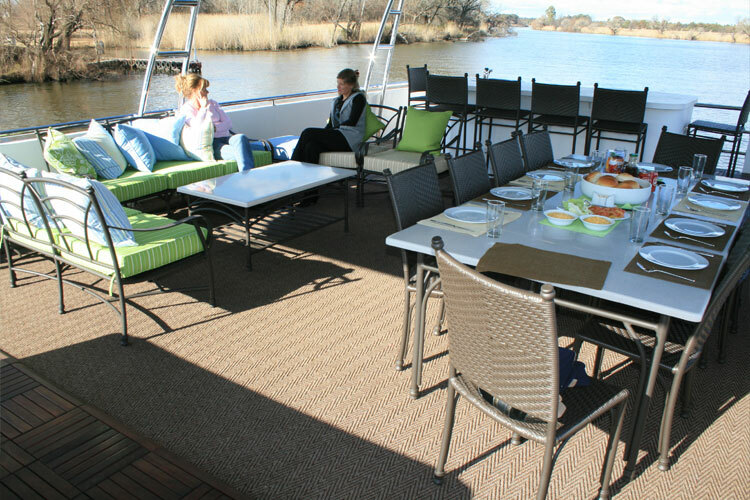 Due to it being Vaal River houseboat charters, you need not worry about navigating the boat yourself or preparing your own food, whether it is breakfast, lunch, dinner or snacks in-between. If you do decide to take other people with you, you will be glad to learn that there is enough accommodation for up to ten guests on board the Liquid Living. 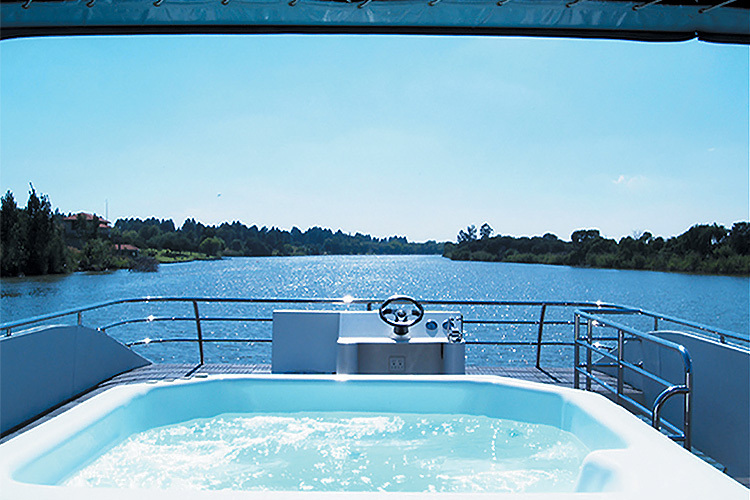 Other facilities which will make your Vaal River houseboat charters an unforgettable experience include a roaming satellite, a main saloon area equipped with plasma screens and a home entertainment system, as well as an upper deck containing a bar/braai area and Jacuzzi. As can thus be derived from the above, the Liquid Living offers Vaal River houseboat charters you will thoroughly enjoy.